When most people think about setting up a cluster, it usually involves two or more servers, and a SAN – or some other type of shared storage. SAN’s are typically very costly and complex to setup and maintain. Also, they technically represent a potential Single Point of Failure (SPOF) in your cluster architecture. These days, more and more people are turning to companies like Fusion-io, with their lightning fast ioDrives, to accelerate critical applications. These storage devices sit inside the server (i.e. aren’t “shared disks”). Therefore it can’t be used as cluster disks with many traditional clustering solutions. Fortunately, there are ways to Maximise replication performance for Linux Clustering with Fusion-io. 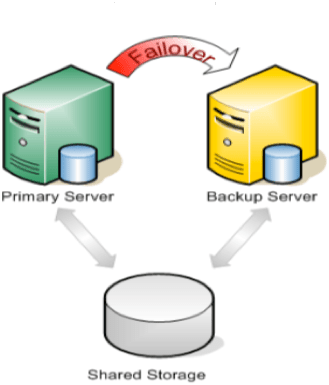 Solutions that allow you to form a failover cluster when there is no shared storage involved – i.e. a “shared nothing” cluster. Typically you will also need to make adjustments to your cluster configuration, which will vary based on the clustering and replication technology you decide to implement. In this example, I’m using the SteelEye Protection Suite for Linux (aka SPS, aka LifeKeeper), from SIOS Technologies. It allows users to form failover clusters leveraging just about any back-end storage type: Fiber Channel SAN, iSCSI, NAS, or, most relevant to this article, local disks that need to be synchronized/replicated in real time between cluster nodes. SPS for Linux includes integrated, block level data replication functionality that makes it very easy to setup a cluster when there is no shared storage involved. From here, go ahead and create your mirrors and configure the cluster as you normally would. Interested to Maximise Replication Performance For Linux Clustering With Fusion-io, see what else SIOS can offer. Register here to learn how high performance and high availability for Microsoft SQL Server can be achieved with solutions from Fusion-io and SIOS. This powerful combination delivers high-speed storage and high availability for SQL Server without the limitations of single copy clusters or AlwaysOn Availability Groups. … all without sacrificing availability. The end result: faster performance at a fraction of the cost of a typical SAN with 100% data availability. Dave Bermingham is recognized within the technology community as a high availability expert and has been a Microsoft MVP in Clustering for the past three years. David’s work as Sr. Technical Evangelist at SIOS has him focused on delivering high availability and disaster recovery solutions. David holds numerous technical certifications and has over twenty years of technology experience focused on application availability. Jamila Gunawardena is a Senior OEM Sales Engineer for Fusion-io. Jamila has over 15 years experience in Software Engineering and System Design with expertise in Internet, Bioinformatics, and Semiconductor DFM solutions. Currently, Jamila is focused on ISV and appliance partnerships at Fusion-io. Geoff Hiten is a Microsoft SQL MVP and is currently an Infrastructure Architect for Intellinet. Geoff began working with SQL Server in 1992 with version 4.2 and has used every version since. He specializes in high-availability and high-performance SQL systems. Geoff is heavily involved in the Microsoft SQL Server Community and was initially awarded MVP status in 2004. Geoff was appointed in 2011 to fill an interim Director position at the National PASS organization. 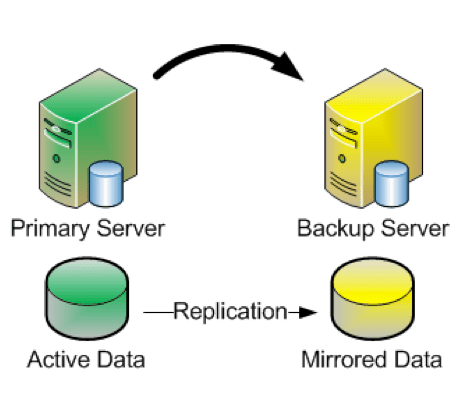 Sacrifice High Availability For High Performance? Mosey on over to the Fusion-io website and read my guest post in their blog, Do You Have to Sacrifice High Availability for High Performance? After you are done there, view the joint SIOS and Fusion-io webinar “SQL Server 2008 – High Performance and High Availability Through Fusion-io and SIOS”. Part of this webinar includes some VERY interesting benchmark information…you won’t want to miss it!